This guide is your oyster. We’ve all been there: you’re sitting in your favorite restaurant, eager to revisit a newly discovered seafood dish and you forget which crustacean you’re craving. You take a risk, but instead of steamy garlic-y goodness, a plate of something with a slightly-more-acquired cold, lemony taste is presented to you. 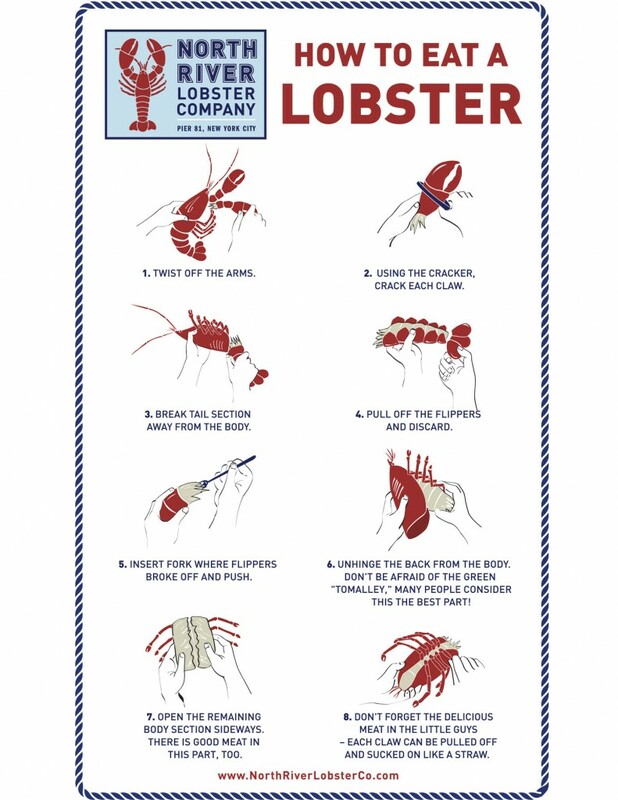 Fear not, for after reading this shucking awesome guide, you’ll never experience this night-fruit-de-mer again. Yeah, the big red ones. They come boiled or steamed, and are eaten by cracking the shell open and extracting the meat, then dunking it in a pool of butter or lemon juice. They can also be “baked stuffed:” cut open and filled with a breadcrumb seafood stuffing and then roasted. 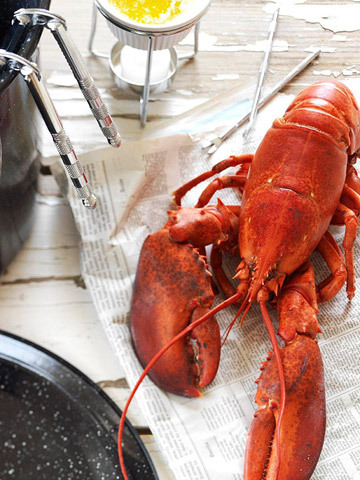 For a less labor-intensive lobster, a lobster roll offers cold lobster meat tossed with mayonnaise in a grilled hotdog roll. Similar to their larger friends, crabs come steamed or boiled. The meat can also be tossed with egg and breaded, then fried to make crab cakes. 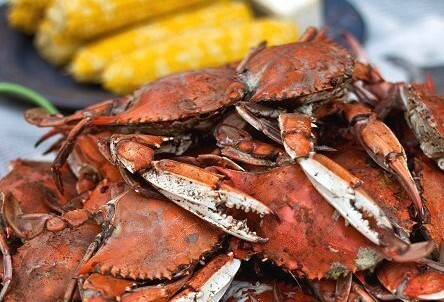 Crabs dishes are usually found in the Chesapeake Bay region and in Maryland. A much smaller and more manageable shellfish, shrimp can be served a million different ways: cold in cocktail sauce or warm in everything from stews to simply cooked in a skillet with a little garlic and butter. 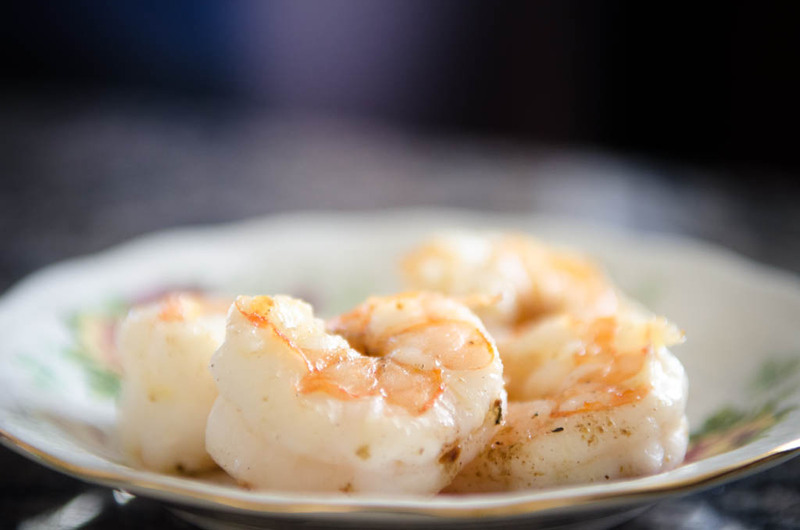 Shrimp are native to the area around the Gulf of Mexico and Atlantic Ocean. Learn how to cook shrimp here, or make this shrimp ceviche. Here is where things start to blur. 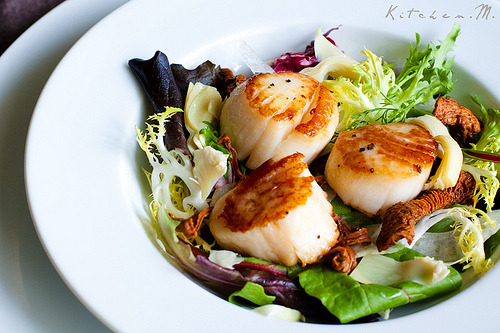 Scallop meat is round and white and usually served without the shell in the US. These shellfish are can be served broiled, pan-seared, fried or as ceviche. Scallops are also traditionally found in the Northeast. Nom away at these searingly good-looking guys. 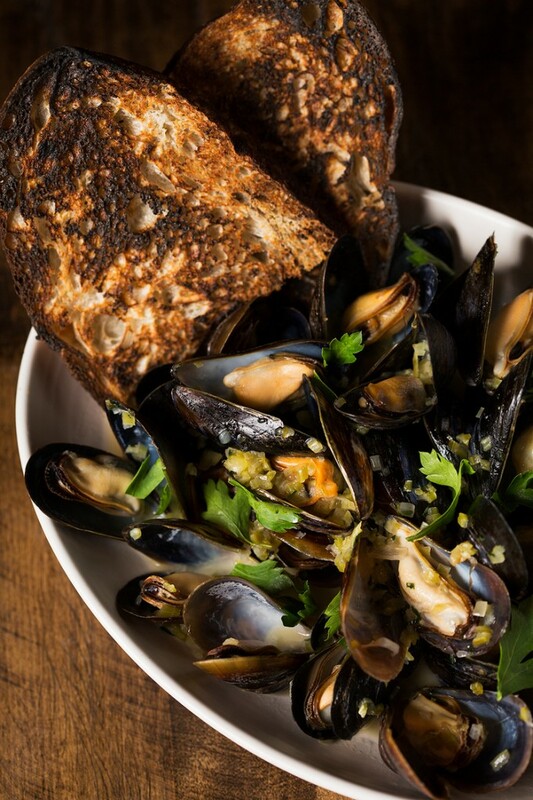 Though they can be boiled, roasted, barbecued and fried, the most common way to serve mussels is steamed in a big bowl of garlic-y broth with a heap of grilled toast or fries and a tiny fork. Check out these PBR Steamed Mussels: sophisticated seafood with subtle notes of frat party. 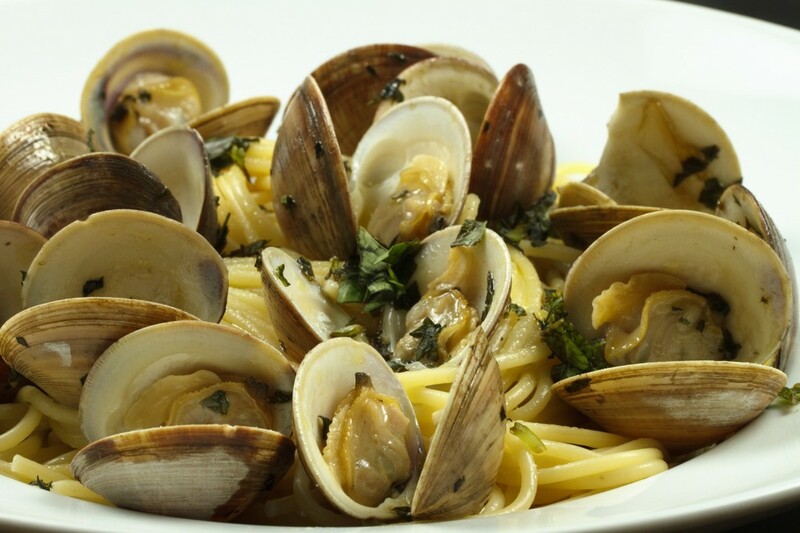 Most famous for their “chowdah,” clams come in two types: soft-shelled clams that are fried or steamed, or hard-shelled chowder clams, that can also come stuffed with bready bacon-y goodness as clams casino. Sometimes they are also served “on the half shell” raw, but it’s more common to find them crispy and next to a pile of greasy napkins and a pool of tartar sauce. 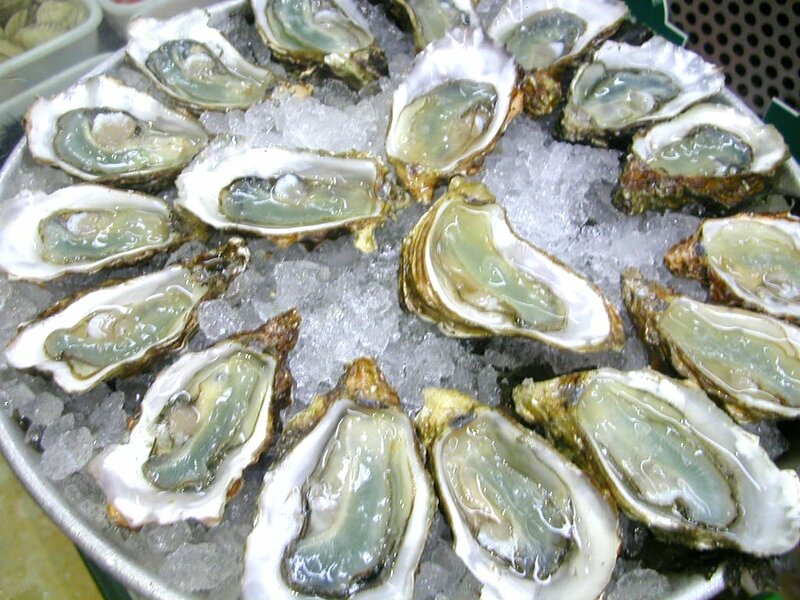 The trickiest of them all, oysters are served on the half shell, fried or sometimes grilled. When raw, their slippery texture takes some getting used to but is aided by mignonette (shallots and wine vinegar), lemon and horseradish. Plus, they help get you going. Learn how to shuck ’em good here. Find your favorite this summer and stick to it or venture out and try them all in Seafood Spaghetti di Nero. If you call yourself a foodie, I hereby command you to go gorge yourself on some seafood.